A new month, a new Topbox. Unlike the past few months Canada Post decided to be nice this time around and deliver my box in a timely manner. Obviously as soon as I got home I teared the package open to see what goodies this month’s “box” included (it comes in a tube). Overall I found this month’s selection of products to be satisfactory. I knew ahead of time that I would be receiving a nail polish (they send out a questionnaire which asks what you thought of the previous month’s products and preferences on upcoming samples). Luckily I don’t already own that particular China Glaze shade. I put the colour on right away and actually really like it, it’s more of a magenta then purple, but it’s very eye-catching (nails of the day post coming soon!). 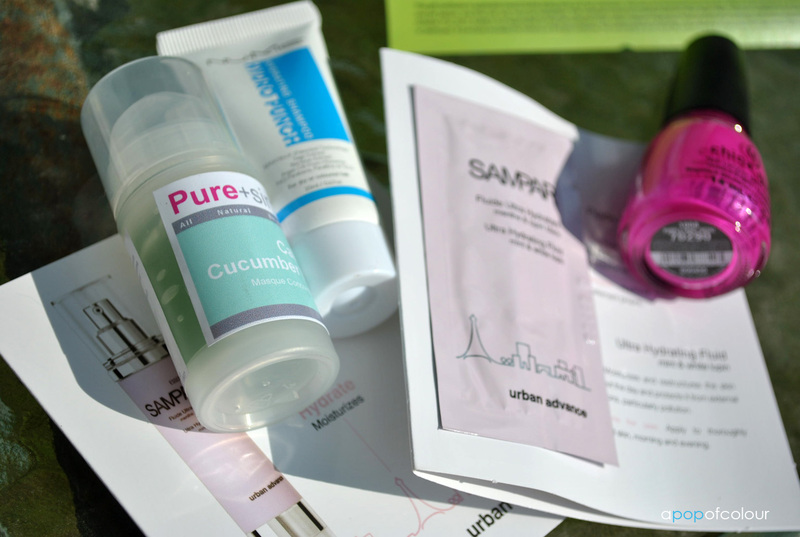 As for the other samples, I did receive a shampoo sample in last month’s box so I wasn’t too keen on that. I did try it out and it did smell nice, however, I’m not too sure how moisturizing it was on my hair. If I want something that will leave my hair super soft I will usually reach for either Pureology or Dove. Shampoo samples are nice to receive though if you are travelling somewhere and need something small. I also take them to the gym. I really enjoyed the face mask as I don’t have any masks currently. 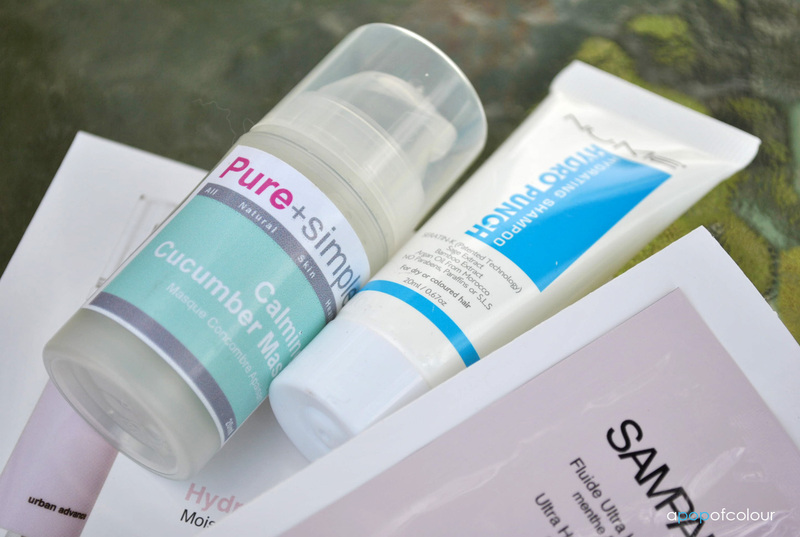 With calming cucumber in it, this stuff will be perfect for sun-exposed skin. Plus I totally plan to bring this on my upcoming Vegas trip in August (hello, +40 C weather and sun!). I was pretty indifferent about the serums as I already use Kiehl’s Midnight Recovery Serum, as well as my holy grail face items so I know ahead of time, even before trying it out, I won’t be purchasing that product. 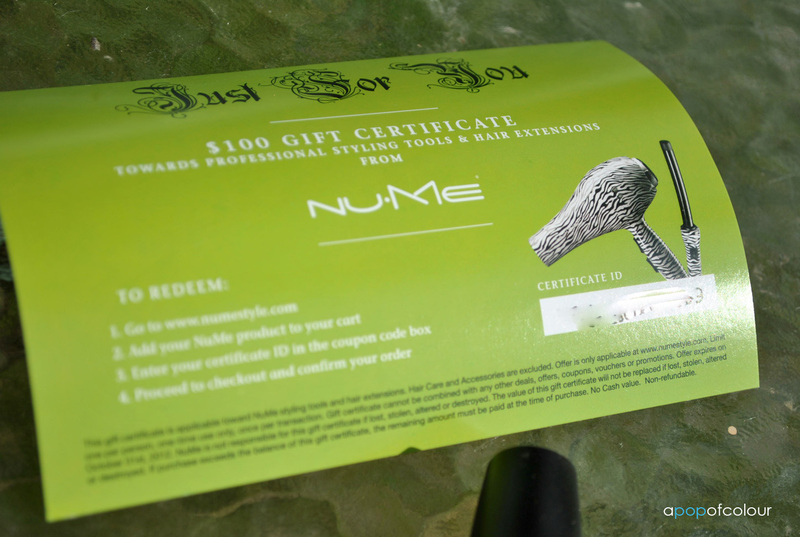 Finally, it was a nice touch to include a $100 gift certificate for NuMe, however, all the products on the site are over $100 anyways (it has to be a styling tool or extensions). I already have two straighteners, a clipless curling iron, and a hair dryer so I don’t need any more styling tools. In addition, I am very picky with hair extensions so I wouldn’t buy those from that site anyways. Overall, I was quite happy with this month’s selection of products. 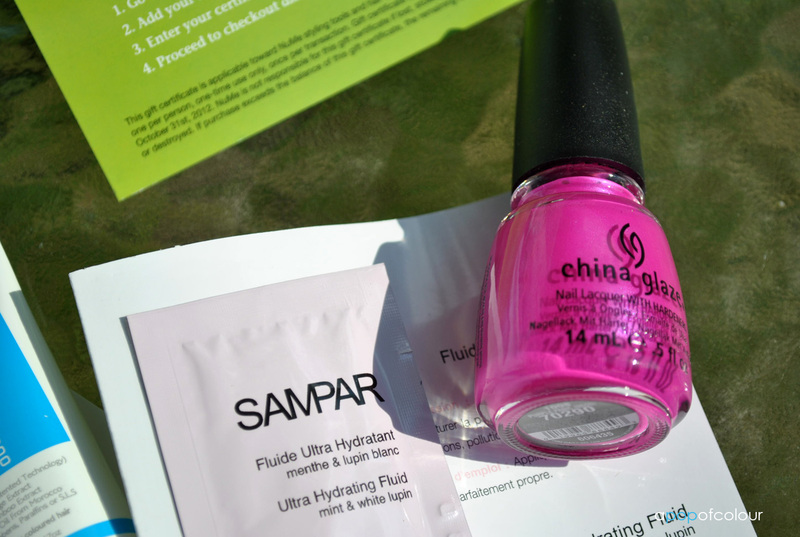 My favourite was definitely the China Glaze nail polish.